There is no outdoor feature more special than a big, beautiful fruit tree. When fruit trees ripen, they add a sweet smell and a pop of color to any garden. And what could possibly be more picturesque than homemade dessert baked with fruit from your own backyard? Lucky for us, Missouri is an excellent growing state for some of the most delicious trees out there. Plant one yourself, or call Voss Land & Tree to plant one for you. 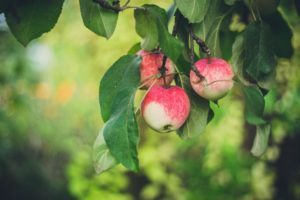 Below is a list of some of the best fruit trees to think adding this spring. We’re sure these hardy plants can stand up to our harsh winters and brutal summers here in Missouri, which is why they make our list. This classic American tree comes in all of your favorite varieties, including gala, fugi, granny smith and golden delicious. And better yet, these plants can produce well over 100 lbs of fruit a year when mature. That’s a lot of apple pies! Tree care tip: Apple trees don’t do well in overly wet soil and need lots of nutrients. Make sure you can plant it somewhere well-drained surrounded by enough organic material (like straw or mulch) to keep it fed. 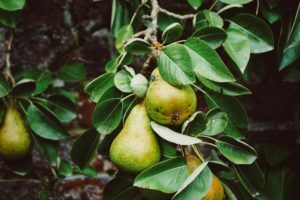 Although less common than the all-American apple tree, pears are a crisp, refreshing treat for a perfect autumn day (they start to ripen in early fall). And if you’re looking for a tree that produces a whole lot of fruit, this may be a good choice for you. Adult pear trees can produce well over 500 lbs of pears a year! Tree care tip: Stake your pears with a sturdy post to help them avoid wind damage and to help the tree grow straight. Peaches are one of everybody’s favorite summer fruits. Who can resist a ripe peach on a hot day or a piece of the perfect summertime peach cobbler? Our winters can get cold here in Missouri, so it’s best to choose a variety that can take the temperature drops. 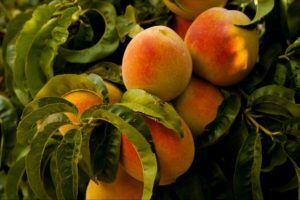 With proper maintenance and thoughtful planting (southern Missouri will work much better), you can be enjoying more than 200 lbs of peaches a year in no time. Tree care tip: Choose a peach tree that is about one year old and try to plant it as soon as you get it, if possible. This will help maximize its chances of growing healthy. 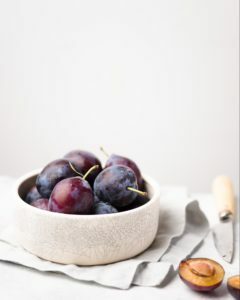 Plums make the perfect sweet and tart treat and can be eaten fresh off the tree or made into specialty jellies, preserves and baked goods. Try adding these guys into a mix with arugula and goat cheese for a gourmet alternative to your normal side salad — yum! Plum trees are a stone fruit, meaning they require quite a bit of maintenance and attention (maybe an irrigation system, for example) if you want them to survive. 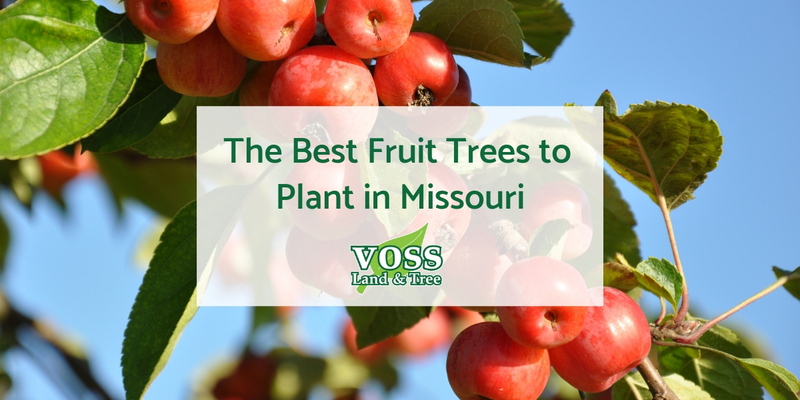 They also prefer a specific climate (like cherries and peaches) and would do better planted in southern Missouri. Tree care tip: Choose a spot for your tree that gets a lot of direct sunlight. At least 6 to 8 hours a day is ideal for plums. 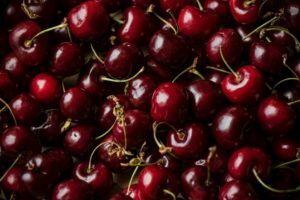 Cherries can be tricky to grow in our unpredictable climates, but a skilled gardener can make it happen in certain parts of the state. Like peaches and plums, avoid planting these trees in the northern parts of the state, as the climate is not suitable for sour varieties. If you’re looking to plant sweet cherries, you may need to move to another state. Ours just isn’t quite right for their picky personalities. Tree care tip: Cherries need deep soil that is also well-drained. Excess moisture will not bode well for the health of your tree. Dreaming of a backyard fruit tree? Keeping up with maintenance can be easy once the hard work of planting is out of the way. Let us do the work. Contact Voss Land & Tree today to start planning your garden today.